The book you hold holds power. It is a potent story of a woman's healing journey. 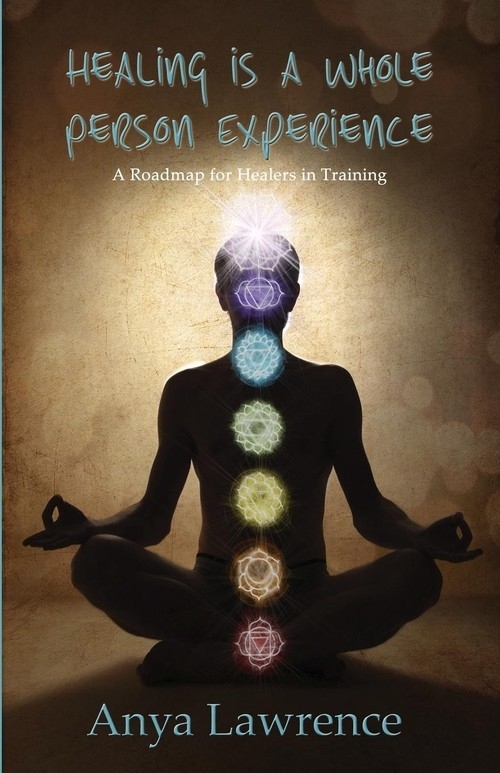 It is a roadmap for healers in training. It is a guiding, loving light for those lost and solid grounding for those found. I speak from my own whole person experience reading this book, having walked with the author, guided to explore, heal, and thus awaken my past and present mind, body, and soul. This book is a process which serves to dissolve barriers, support integration, enhance awareness of personal purpose, and inspire aligned action. These statements exalt, and ground a power inherent in our words - our natural ability to heal self and other, within and without, through faithful proclamation of our intention. The package, form, or wrapped blessing carrying the intention is simply stylistic choice of delivery. Some speak, many lay hands, and others silently sing a subtle, yet universally powerful intention. Each is a gift equally qualified and definitely potent. In these pages you will be encouraged to expand your relationship with the healing power of your intention. This gift is yours to learn, master, and share. Anya grew up in the Midwest in a country home her great grandfather built. She had 20 acres on which to roam, dream and play and a river to paddle upon. In her formative years, she attended a one room schoolhouse and played on an inter-school softball team. Her playmates were spread around the county; their playground the woods, creeks and always the river. This wondrous freedom became the template of everything that followed; the ability to see with a fresh eye; the propensity to look behind and beneath and above; all the intuitive tools of a would-be healer, a trade that would one day become her own. Midlife was spent in wifing and mothering. But the call to explore was ever present. Once single she began to move west and exploring territories consumed her, the hunger for place ever present. Each destination filled her with its requisite energy and then another would call. Then came the call to stretch and grow at a four year training program in the art and science of healing Everything after that was filtered through the lens of multidimensionality; the keen knowing that comes from direct Guidance that became her stock and trade. Now older and more settled, the twenty plus years of healing provide the journeys that fascinate; each client offering a new territory to be explored, a learning to be grasped; an unveiling to amaze. Even now the journeys continue. Currently, Anya has found her place of rest in the mountains of Eastern Washington where she lives with her partner, Norman, her standard poodle, Jasper, and her Siamese kitty, Bently.